We believe that puppetry fosters empathy, curiosity and imagination as well as providing students with a positive outlet for expression and connection with others. 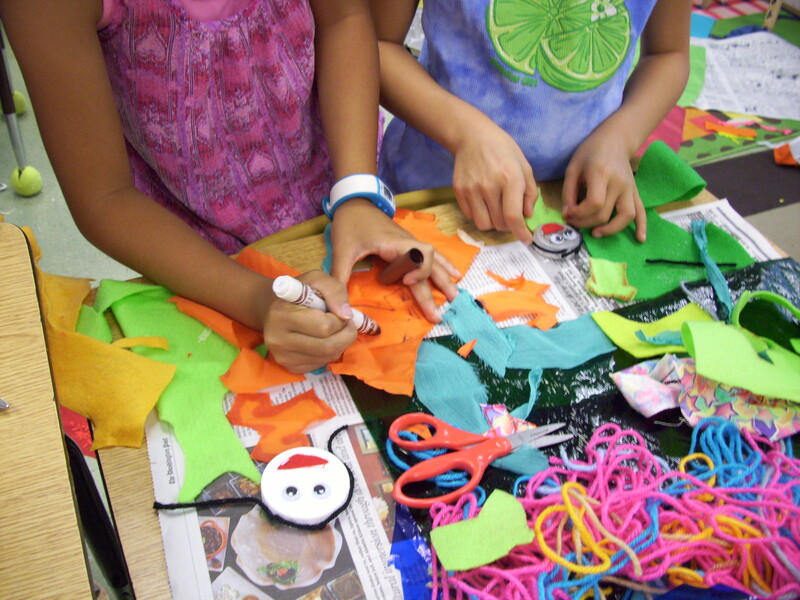 We offer workshops to students of all ages in building puppets from recycled objects and we also work with students to write and perform original plays with their puppets. If you are looking for a unique arts experience for a group of students, please send us an email at witsendpuppets@gmail.com to learn more about scheduling and fees. We would love to come work with your school! 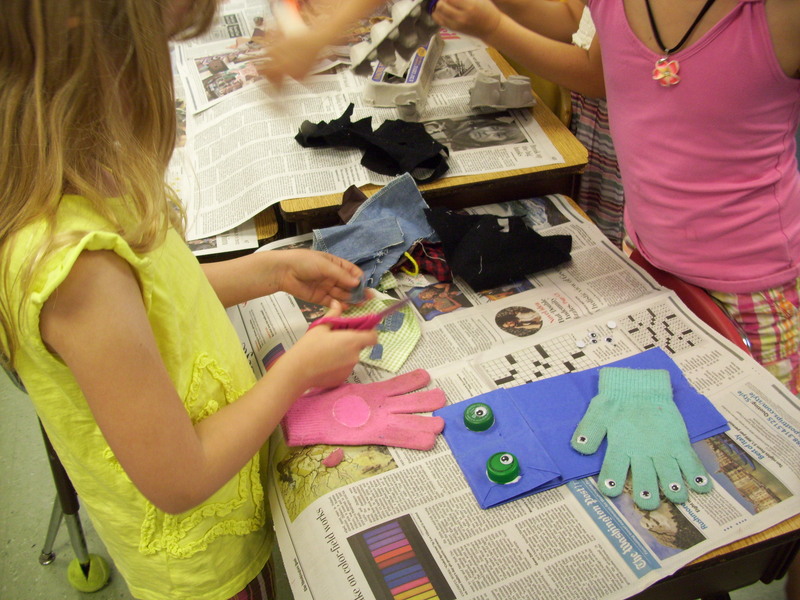 Students create their own puppet characters using recycled materials such as fabric, buttons, plastic bottles and cardboard tubes. This workshop provides a lesson in conservation as well as creativity, encouraging students to use their imaginations to turn trash into treasures. The workshop can be combined with a writing workshop where students create a biography of their character and scenes to perform with classmates. Have your students turn their research into a concrete object with this fun workshop! Easily connected to the study of ancient civilizations or geography, this workshop is perfect for teachers who want to have their students practice library research as well as writing, art and oral communication skills. Students research a particular country or time period and create a puppet character that reflects the information they find. In small groups, they create short scenes to perform for their classmates with their puppets. Below are photos from some of our workshops, taken at Friends Community School in College Park, Maryland and Tuckahoe Elementary School in Arlington, Virginia. 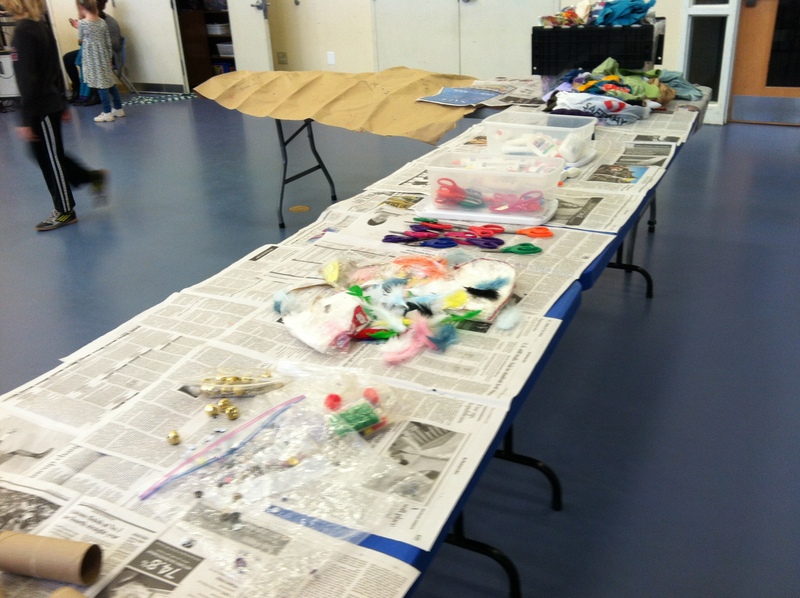 Tables filled with all kinds of recycled materials, ready to be made into puppets! Students working on their own creative characters. Yarn and foam are being turned into bodies and hair. 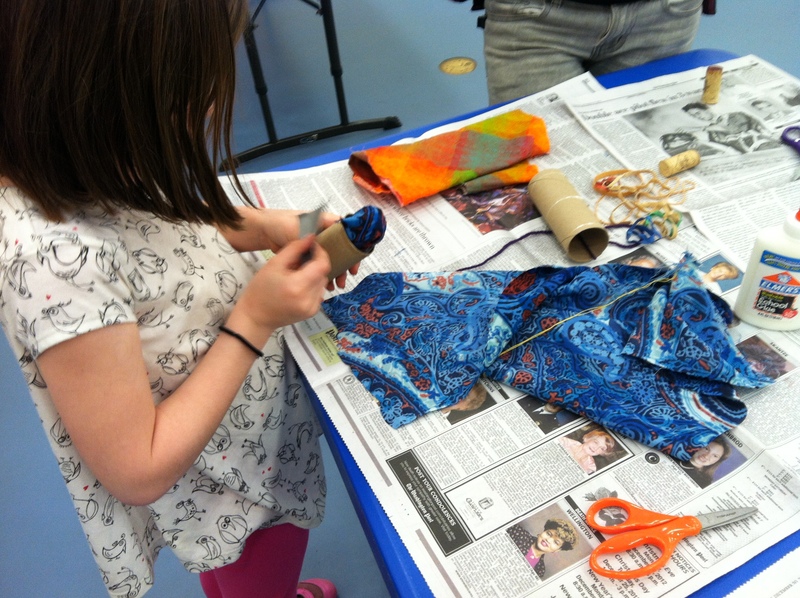 Fabric can be turned into all kinds of clothing, hair and features.